Why are Arsenal giving up on Bellerin? 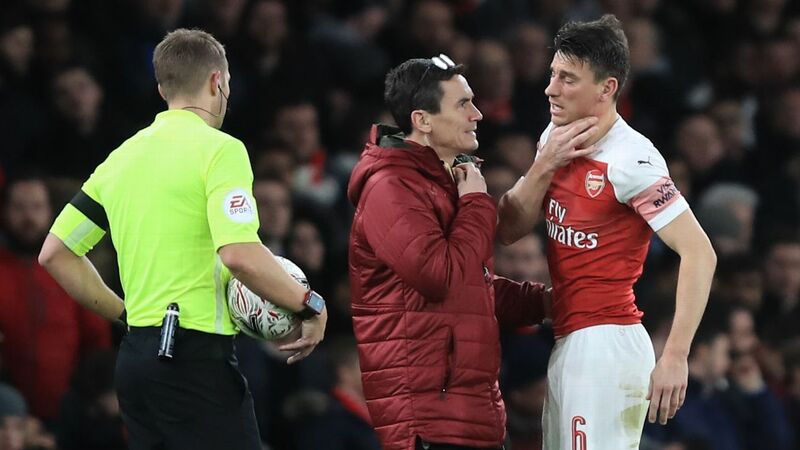 Arsenal captain Laurent Koscielny is back in full training ahead of Sunday's Premier League game at Manchester City after scans confirmed he had not fractured his jaw. Koscielny was caught by a stray boot from Manchester United striker Romelu Lukaku in the FA Cup defeat last week, and did not play in Arsenal's Premier League home win over Cardiff on Tuesday. The guys discuss whether Chelsea manager Maurizio Sarri needs to adjust from his typical tactics, with Manchester United and Arsenal showing good form. Stewart Robson explains the key tactical decisions that led to Arsenal's comfortable 2-0 win over Chelsea. 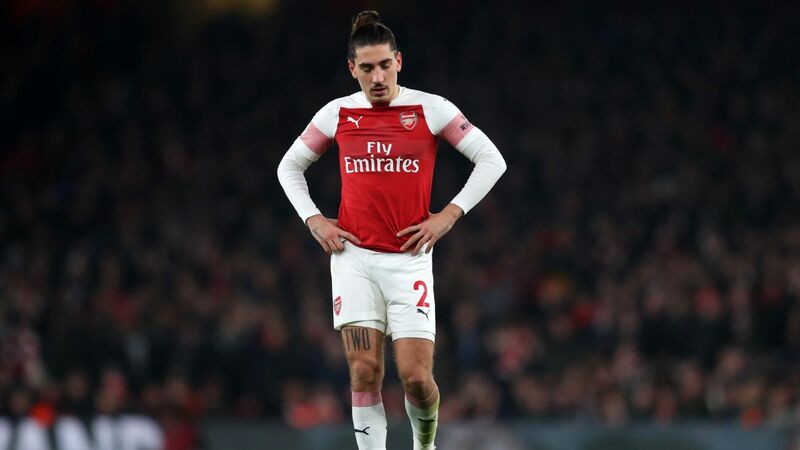 Arsenal defender Hector Bellerin will miss the remainder of the season after scans confirmed he has suffered an anterior cruciate ligament rupture, the club have said. Bellerin was taken off on a stretcher after 72 minutes of his side's 2-0 victory over Chelsea and will be out of action for the next six-to-nine months. Hector Bellerin is a man who has his own style. It's fair to say that his dress sense isn't to everyone's tastes but the Arsenal defender stole the show at his club's 3-1 win over Burnley and he wasn't even playing. It's only a matter of time before Bellerin gets his own fashion show on some random cable channel, isn't it? Or is arrested by the fashion police... whichever comes first. Arsenal coach Unai Emery says right-back Hector Bellerin could miss the festive period after limping off with a calf problem during Sunday's 3-2 loss at Southampton, adding to the Gunners' defensive crisis. Hector Bellerin discussed his decision to become a vegan after talking to boxer David Haye, saying it has helped his body recover quicker over the last year. The Spanish right-back cut meat out of his diet in October and he said that, after initially looking to just try it for a short period, he felt so much better that he decided to make the change permanent.